This class was so popular, we had to add another and you won't want to miss out! This entry was posted in Trend Alerts on August 7, 2017 by Impress. We love to watercolor and sometimes all you need is a faint outline to make it look like an original piece of artwork. For this card, we used the new Flora & Fauna Life is Lovely Flower Set and stamped the flowers in the Distressed Ink Antique Linen. 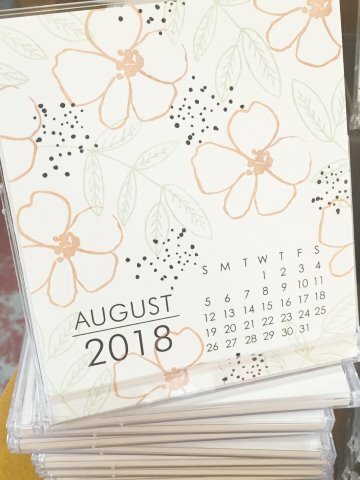 It's a light vanilla color and it barely shows up when stamped on paper. We did mask the flowers in the shape of a rectangle frame and hand colored the blue background. Don't forget to decorate your envelope. Nothing is better than opening or receiving a card that has a special envelope. 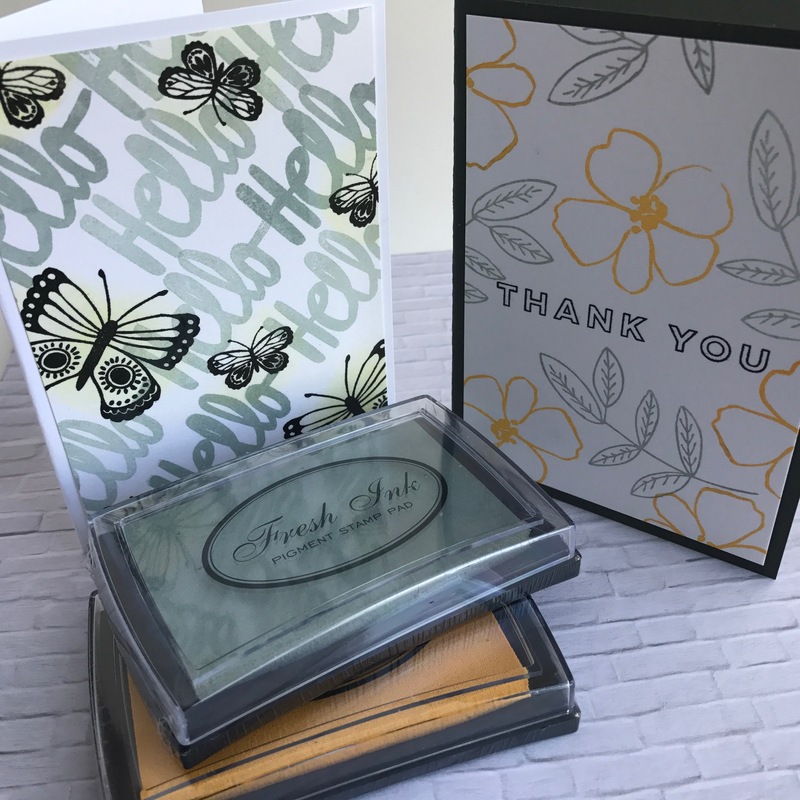 Lining an envelope always has a sophisticated look and what perfect way to give that same appearance with the Flora & Fauna Texture 2 stamp set to create a pattern with coordinating colors to go with your card. This entry was posted in Trend Alerts on August 5, 2017 by Impress. For the summer, we are featuring a Fresh Ink color every Friday that is 50% off for the day. This Friday, it's Limeade! It's one of our favorite bright green colors, perfect for Summer. This entry was posted in Trend Alerts on August 3, 2017 by Impress. 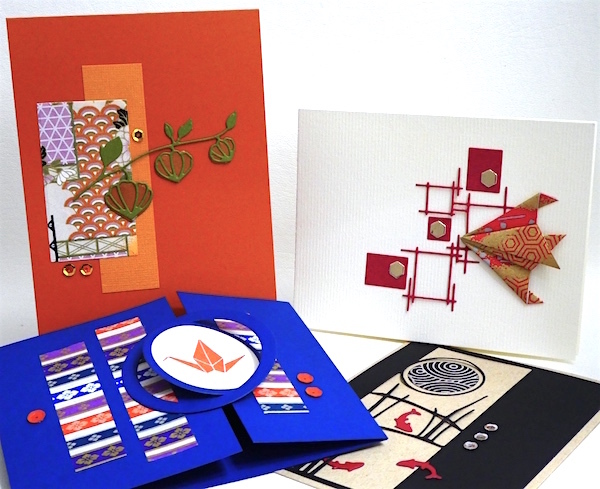 Classic designs, origami, beautiful papers and Jean’s techniques create 7 cool, contemporary Asian-inspired cards. 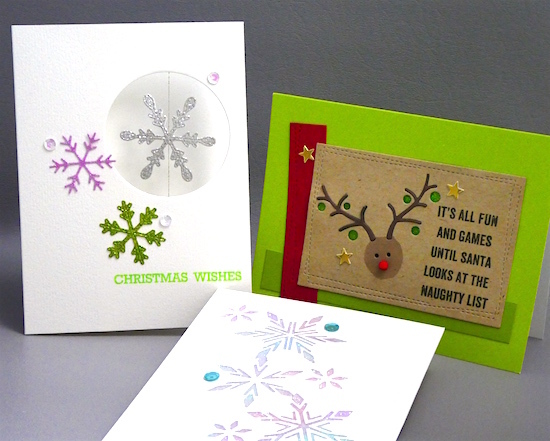 Metallic inks, stamps, stencils and diecuts accent great greetings for any occasion. Please bring a waterbrush, small paper trimmer and adhesives. $39 10:30-12:30 Sat, Aug 5 Call our Tukwila store to sign up for Saturday! This entry was posted in Trend Alerts on August 2, 2017 by Impress. We love to create background patterns and a cloud stencil is one of those basics that we should all have in our inventory of supplies. 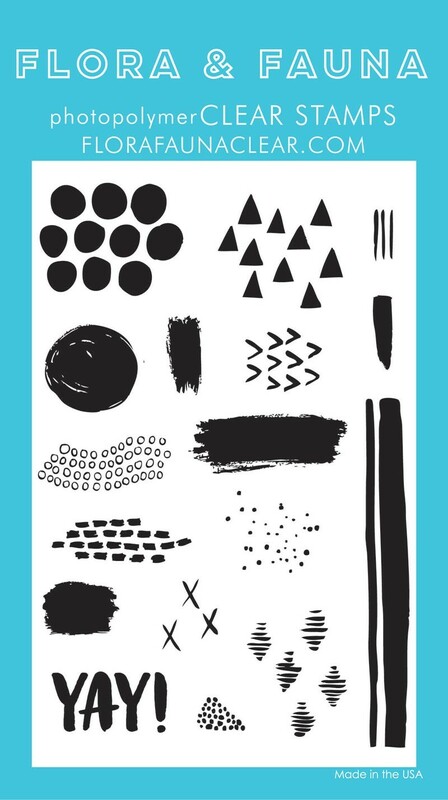 My Favorite Things came out with a cloud stencil that you can utilize all 4 sides to create a variety of cloud patterns. They now have it in 2 SIZES!! Here is a sample with the original large size. 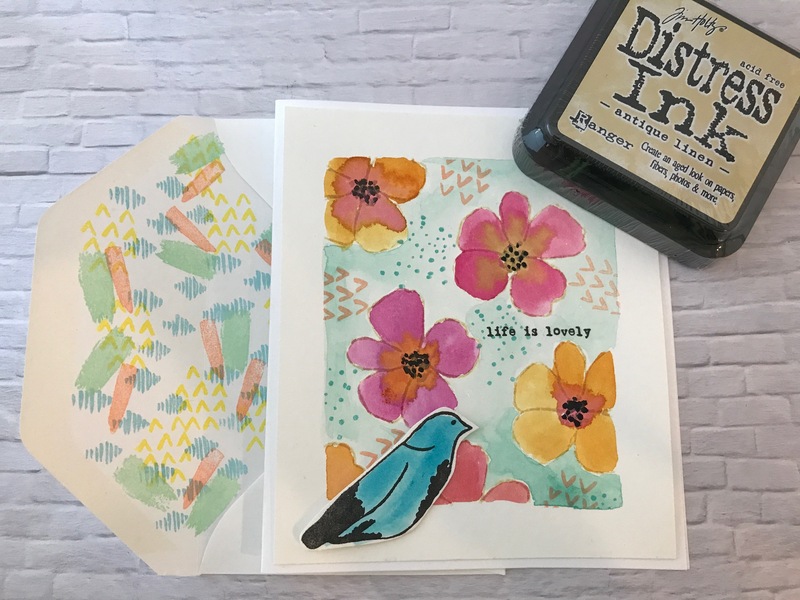 We start from the bottom and move our way up on the sheet, sponging with Tim Holtz blending tool and Fresh Ink teal and rotating the stencil. 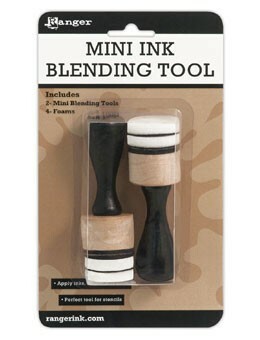 We use this blending tool for all sorts of projects. The one thing that helps is to use the Neenah paper since it's smooth and the ink covers very easily. 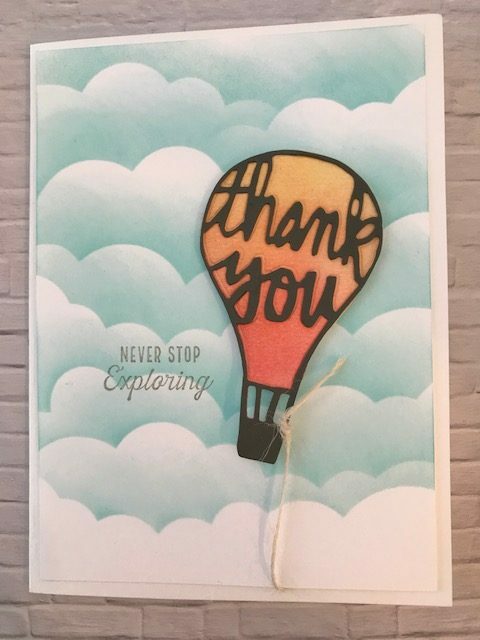 Savvy Stamps thank you hot air balloon is used on the front of the card (10246). We used the blending tool to create the ombre orange for the balloon and die cut the image again in a dark grey color. We have a busy weekend in the store - it's a Rubbermoon weekend with Kae Pea! 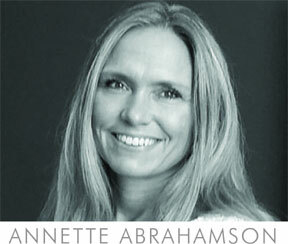 She's teaching some amazing classes all weekend at our Tukwila store. We are so lucky to have her back again this summer! 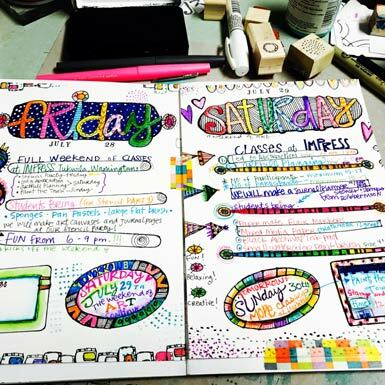 This is a sample of the Planner class she will be teaching. 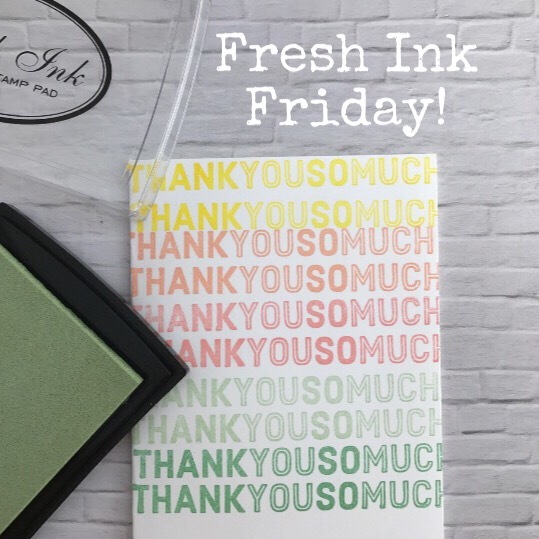 It's also Fresh Ink Friday! Our color for the day is Pear! It's a beautiful and soft shade a green! We love it and for today (Friday) it will be 50% off! If you don't have it, stop by and pick one up and say Hi to Kae! This entry was posted in Trend Alerts on July 27, 2017 by Impress. 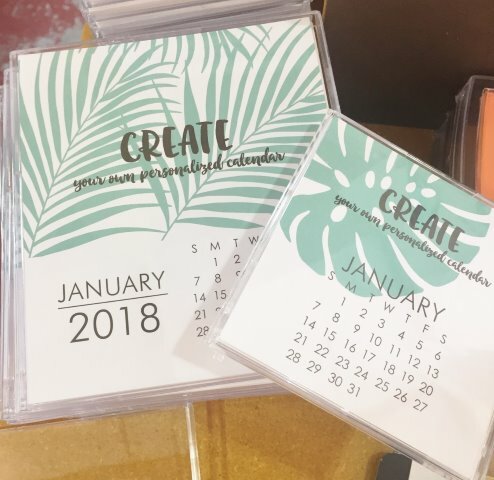 Our DIY calendars are in stock for the 2018 year! It's never too late to get started and they make the perfect stocking stuffer. 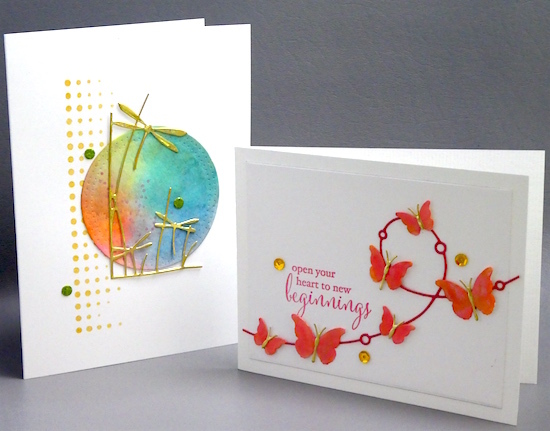 Here is a sample of our small size using a stencil for the leaf background and a flower daubed with a bit of color from the Life is Lovely stamp set by Flora & Fauna. 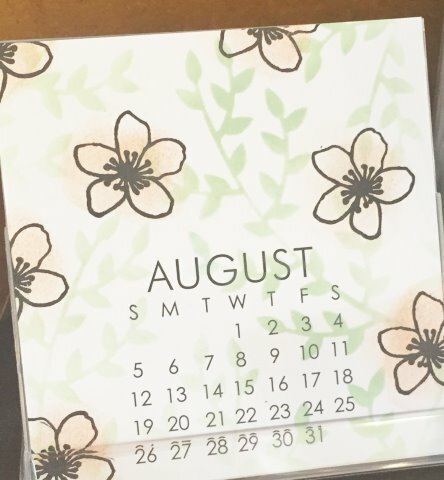 We love the colors used for this calendar page. Fresh Ink peach, succulent, and black. 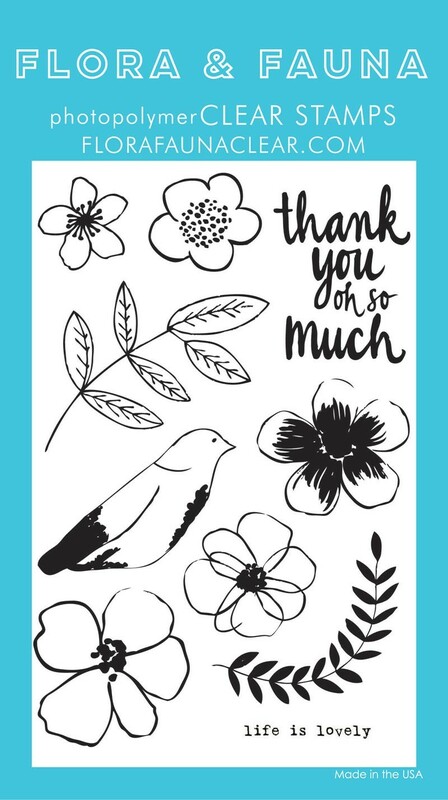 All of the stamps are from Flora & Fauna - Life is Lovely and the cute splatter dots is from their Texture 2 set. 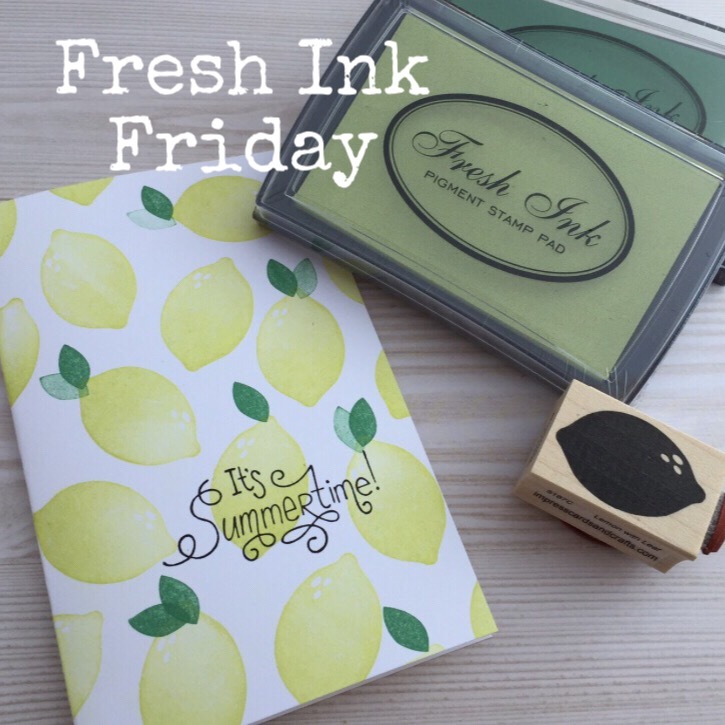 Fresh Ink Fridays – The rest of the summer we’ll be featuring one Fresh ink color at 50% off each Friday. We are in love with BLUE SAGE! 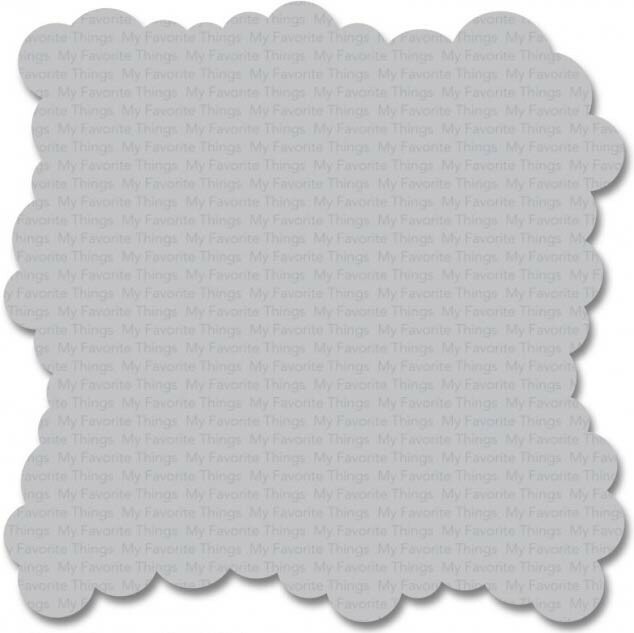 It has this pretty grey tone that compliments many other colors that we stamp with it. We couldn't stop making samples with it for our birthday event. Stop by on Friday’s and be inspired. This entry was posted in Trend Alerts on July 21, 2017 by Impress. Memory Box Class this weekend and more! Call our Tukwila store to reserve your spot, 206.901.9101. See you Saturday! This entry was posted in Trend Alerts on July 20, 2017 by Impress. 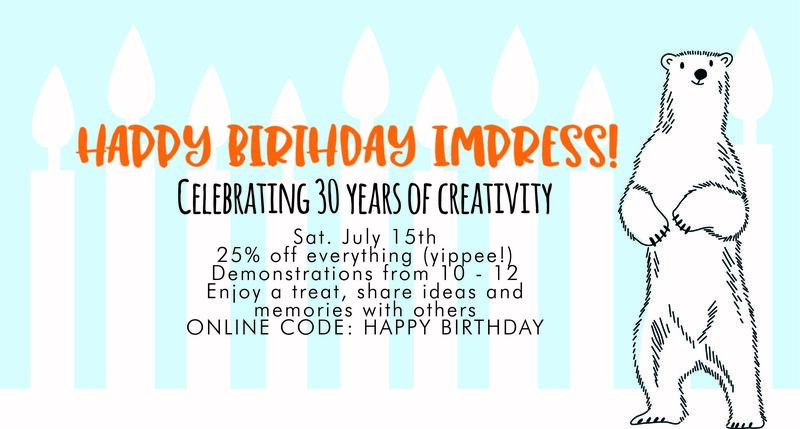 We will have demonstrations from 10-12 and everything will be 25% off along with some surprises! We are excited to see everyone. This entry was posted in Trend Alerts on July 12, 2017 by Impress.